This ballpoint pen with floating sperm and egg is sure to make a splash! 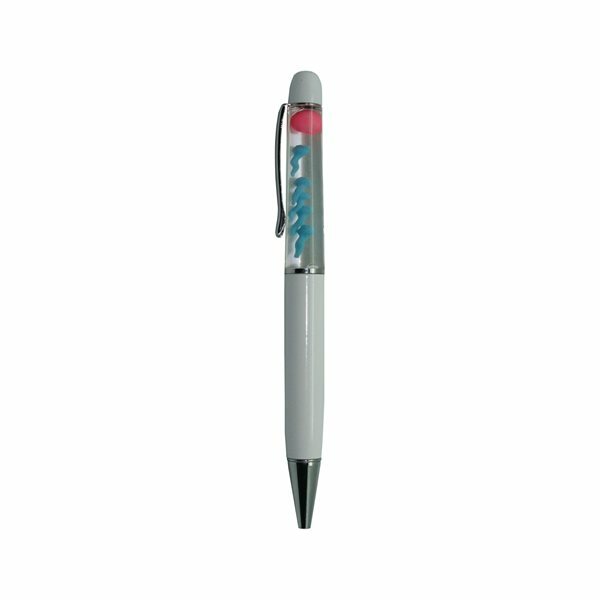 With a metal barrel it's classy and your clients will have have fun with this pen. Its a cool pen. The sperm and eggs in the chamber are nice but if you look close they are poorly cut rubber objects. Lots of irregularities. Cool souvenir though. High quality for that cost. the material seems like it would be water resistant- good for the beach and/or water parks during the summer.